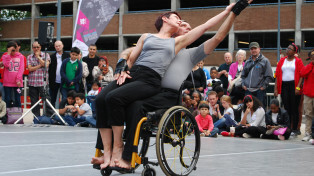 Big Dance 2010 & 2012 was not just big… it was immense. 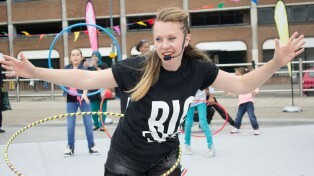 East London Dance took the words ‘Big’ and ‘Dance’ literally and over 7 weeks (May – July) activated an explosion of exciting outdoor dance events across the 8 East London boroughs. Bharata Natyam Choreographer, Anusha Sajeev, brought a touch of magic and an explosion of colour to Valentine’s Mansion in Ilford. Over 80 young classical Indian dancers animated the grounds of this beautiful mansion house. 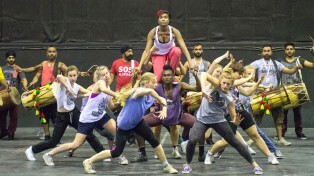 Dancers from Jo Richardson School worked with choreographer, Bettina Strickler, to create a poignant dance journey through Eastbury Manor House in Upney to celebrate it’s refurbishment.